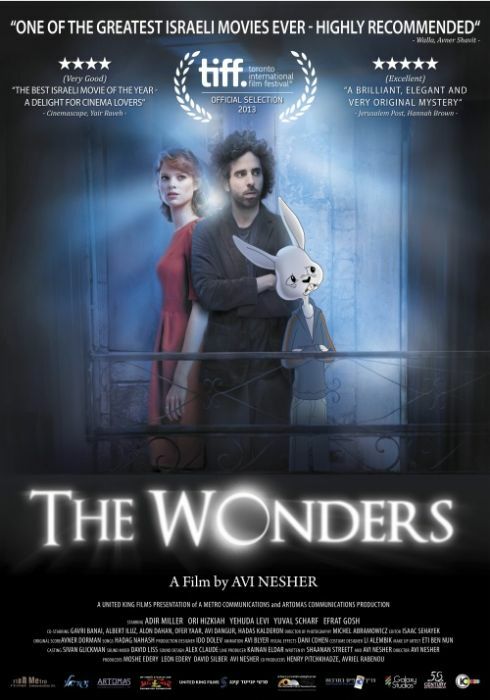 Inspired by a true story, Avi Nesher’s new film The Wonders combines genres, moods and influences – everything from film noir to Alice in Wonderland – to create a unique and compelling movie that mixes mystery, comedy, psychological thriller, political intrigue and romance. The story focuses on Arnav, a graffiti artist and bartender, who lives near the Old City of Jerusalem. Wearing a mask, he paints walls at night and hopes that Vax, his former girlfriend who recently “found religion,” will come back to him. But when Arnav sees a mysterious stranger forced into an abandoned apartment across the way by three bearded men, he becomes involved with a hard-boiled investigator, a gorgeous mystery woman, and the conflicted, mysterious captive himself. This captive, Rabbi Shmaya Knafo, leads a band of devoted followers who believe he is a modern prophet, has special powers and can see into the future. Arnav, who can resist anything but temptation, finds himself fascinated by Rabbi Knafo and by the conundrums that surround him. Rabbi Knafo may possess supernatural powers or he might just be a clever con man – either way, his handlers have turned him into a multi-million dollar “startup,” and this “startup” has come to wield great political power. But something has gone terribly wrong with this messianic movement. As dark, incriminating secrets come to light, the “startup” is undone and the handlers just might want to slaughter their cash cow and replace it with another. As fate would have it, only Arnav, the artist – the most unlikely of all unlikely heroes – can save the fallen prophet. But is Arnav up to the task? Arnav must forgo the artist's proverbial "mask": the safety and comfort of the sidelines. He must get involved, take a chance, put himself at risk. With the trusty (perhaps un-trusty) Vax at his side, Arnav is drawn into a world where fact and fiction, reality and imagination, and truth and lies mingle freely. As the plot twists, loyalties shift and revelations flow, and Arnav's life gradually becomes stranger than his art. Ultimately, Arnav's adventure in Knafo's wonderland might have a moral, if Arnav can only find it. 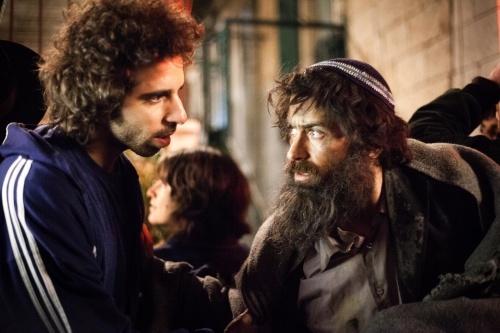 "The best Israeli movie of the year. A movie that will delight all those who love cinema".